Thomas Jay and Jennifer Roe are native San Antonians and graduated from East Central High School. Jay entered the food service industry in 1983, where he worked for Farmer Brothers Coffee and Sysco Food Services. Jay always dreamed of owning a business, and that dream came true when they purchased San Antonio Packing Company in 2008. Jay’s focus is on sales and production, while Jennifer spends her time handling administrative tasks. 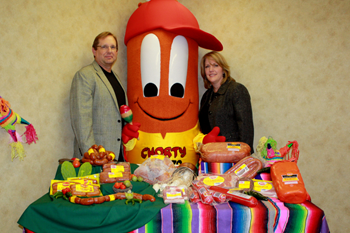 They love that their company has been in San Antonio for over 80 years and that they can continue the tradition of delicious, high-quality meat products!